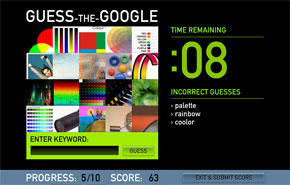 Have you seen the cool “Guess the Google” game that Grant Robinson has created? It picks a keyword at random, searches Google’s huge repository of images gathered from the web, and places them in a grid of 20 images. You then have 20 seconds to guess what the keyword or theme of these images is. It’s quite challenging and addictive! To most of us, innovation is a process executed at "special" times when we need to break new ground. Ironically, at those times, we're usually too rusty to be innovative. Why should we save our best efforts for rare occasions? The first trait integral to the habit of innovation is awareness-of yourself and external circumstances. Curiosity flows seamlessly from awareness. Once you open yourself to the nuances of life, it's hard not to find things that fascinate you and to begin wondering why. To be curious, you must give yourself the freedom to risk and make mistakes. Awareness and curiosity expand your options, but once you move toward a solution, you need to focus-to go beneath the surface and give full attention to what you're doing. Awareness awakens us to what's going on, curiosity lets us gather ideas, and focus lets us nurture particular ideas. 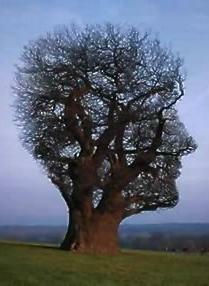 But the innovative spirit without action is like the proverbial tree falling in the forest with no one to hear it. Initiative to act gives purpose and momentum to the habit of innovation. To most of us, innovation is a process executed at “special” times when we need to break new ground. Ironically, at those times, we’re usually too rusty to be innovative. Why should we save our best efforts for rare occasions? Curiosity flows seamlessly from awareness. Once you open yourself to the nuances of life, it’s hard not to find things that fascinate you and to begin wondering why. Awareness and curiosity expand your options, but once you move toward a solution, you need to focus-to go beneath the surface and give full attention to what you’re doing. Awareness awakens us to what’s going on, curiosity lets us gather ideas, and focus lets us nurture particular ideas. But the innovative spirit without action is like the proverbial tree falling in the forest with no one to hear it. Initiative to act gives purpose and momentum to the habit of innovation. Internet media company Yahoo Inc. will provide live Web video streams of the return of the U.S. space agency's shuttle, the first mission since the 2003 Columbia disaster, NASA said on Tuesday. Yahoo will make official online video from the 12-day Discovery shuttle space mission available in Microsoft Corp. Windows Media format to millions of Internet users at http://www.nasa.gov/ and on Yahoo's own site. Yahoo (YHOO.O: Quote, Profile, Research) also will promote video from the space mission, slated to launch on July 13, throughout its heavily-trafficked network of sites. NASA said the agreements enable it to provide Internet access to the feeds at no additional cost to taxpayers. NASA shuttles have been grounded since Columbia disintegrated over Texas on Feb. 1, 2003. All seven crew members died. Internet media company Yahoo Inc. will provide live Web video streams of the return of the U.S. space agency’s shuttle, the first mission since the 2003 Columbia disaster, NASA said on Tuesday. Yahoo will make official online video from the 12-day Discovery shuttle space mission available in Microsoft Corp. Windows Media format to millions of Internet users at http://www.nasa.gov/ and on Yahoo’s own site. Taiwan is not included in the World Bank statistics. Rankings include only those economies with confirmed GDP estimates. 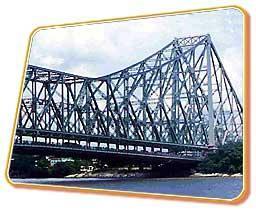 * Wipro, which set up a sprawling 17 acre campus in Kolkata's Salt lake in November 2004, is now planning to get another 50 acre plot in Rajarhat, the proposed IT hub in east Kolkata. * Tata Consultancy Services is also eyeing similar space in the park. * That is not all. Major IT companies such as Satyam Computers, ITC Infotech, HSBC Electronic Data Processing India (HDPI), ICICI OneSource and Gecis will set up their centres in the city shortly. Even the existing companies like IBM, Cognizant Technology Solutions (CTS) and SkyTECH Solutions are on an expansion drive. In fact the state IT department promises to spring some more surprises in the next one year. Does it means that Bangalore is loosing its CHARM ! You are currently browsing the Free to share your thoughts blog archives for July, 2005.